Carolyne would like to let you know that her work here is done. She received a call from God on Saturday morning, January 26, 2019, an offer she didn’t refuse. The offer came with a bonus of a reunion with family and friends she has not seen in a long time. Her mission here is completed. We the family want her to know that she did a great job. We will remember her smile, her warmth, her energy, her love for life, family and friends. She made a difference in the lives of many. We invite you to join us and celebrate together. Carolyne Owen was born on April 19, 1931 in Paces, VA. She was the seventh of ten children born to the late Alex and Melinda Moore. Carolyne received her education in the Halifax County Public Schools. Her Christian life began at an early age when she joined New Arbor Baptist Church in Halifax, VA.
On November 10, 1951 she was joined in holy matrimony to the late Samuel Owen. Two children were born to this union, Samuel Keith and Sheran Owen. They moved to Evanston in 1953. Carolyne joined Second Baptist Church in 1955 under the leadership of Reverend Nathaniel Hawk. Carolyne worked at Baxter Labs for many years and before retirement as a private duty caregiver. She enjoyed spending time with her friends in the Sallyettes Social Club. She was a loving mother and grandmother. We could not have received a greater love. 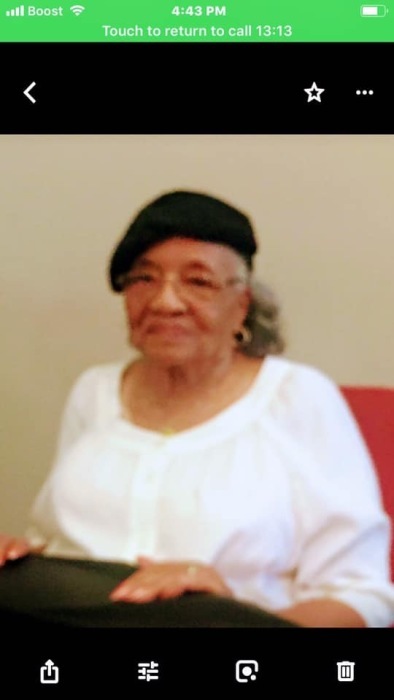 Carolyne leaves to cherish fond memories: her son, Samuel Keith; her daughter, Sheran; four grandchildren: Toinette Tillman, Carla Nichols, Darrius (Danielle) and Tashawn Owen; eleven great-grandchildren, Chris, Donte, Dajaney, Tristan, Ce’Airan, Kyi’Ran, Kameron, Messiah, Darrius Jr., Dallas and Ryland; three sisters: Ardelia Boyd of South Boston, VA, Mabel Smith of Danville, VA and Ruby (Willi) Collins of Evanston, IL; two sisters-in-law: Mary Moore of Blairs, VA and Josephine Moore of Washington, DC; a host of nephews, nieces, other relatives, friends and three devoted and loving caregivers Mary Blackman, Tashawn Owen and Betty Harris. She was preceded in death by her husband, Samuel Owen; four brothers: Henry, Archie, James and Jessie Moore and two sisters: Julia Marable and Arnita Vass.